Dogs are survivors. They live in the wild and hunt in packs. In their natural habitats, they are known to scavenge food and often get the kill from other predators. Many dogs even eat their vomit to conserve calories. So if you are wondering why your dog is always hungry, it could be owing to genetics and natural instinct. However, sudden increase in appetite and thirst can also indicate underlying health issues. Let us take a look at ways to deal with a dog that is always hungry. As stated above, the natural instinct of a dog is to conserve his food and save it from other animals. In a domestic setting though, most dogs are fed on a schedule convenient to their owner. Any change in routine owing to changes in lifestyle of the owner can lead to appetite changes. Change in meal times can also cause sudden increase in appetite. 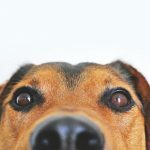 If you have been feeding your dog at a certain time of the day but, owing to some changes, have been forced to delay the feeding each day, then your dog could suddenly start eating too much not knowing when his/her next meal would be. Many owners have to hire someone to walk or feed their dogs owing to changes in their circumstances. Rescued or adopted dogs are often known to have gone for days, weeks even months without food. These dogs are naturally very protective about their food and tend to eat ravenously at least in the first few weeks after they get loving homes. Their main thought is that they may not get another meal. Feeding the dog 2-3 times a day is a good idea in such cases. This helps reinforce the fact that you are there to love and feed them. You can try to divide the food into smaller portions to prevent obesity and sudden weight gain as well as issues like bloating which can be fatal. Certain medicines especially those for seizures or epilepsy can cause increased appetite. Steroids lead to weight and appetite changes which can cause increased thirst and hunger. Check with your veterinarian whether this is normal and if possible, get him to change your pet’s medicine. Owners having dogs on medication which cause increased appetite may want to change the dog food to calorie dense, low fat food. Is this the only dog you have at home? Have you recently brought in another dog or pet? Perhaps the increase in appetite is owing to the lack of attention from you. Your pet might have to compete for food or even your attention with the new member. If this is the case, you may want to feed your pet separately and also reassure her/him of loving them. 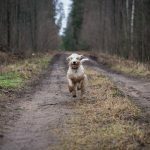 The loss of another pet or family member can also lead to depression in dogs which can bring on appetite changes in the form of sudden increase or decrease in appetite. Likewise, introduction of a child or new pet in the family can cause your dog to eat too much or too little. Senior dogs sometimes develop hormonal issues or Cushing’s syndrome which can cause increased cortisone that causes extreme thirst and hunger. Other symptoms may include dull coat, hair loss, increased urination and incontinence, loss of muscle, general weakness etc. Spayed pets also have increased weight gain and appetite changes. How to deal with your pet when he is always hungry? 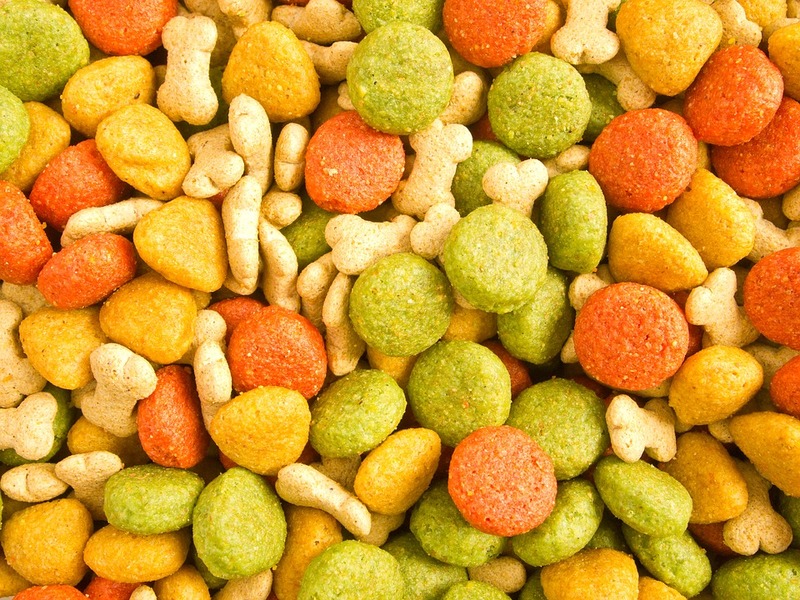 Many pet parents keep food available to their pet 24×7. This is a surefire way to get an obese dog. Always adhere to a strict feeding schedule and only feed your pet according to the schedule. Your vet can give you the exact amount of food your pet needs based on its age, weight and height. Malnourished dogs constantly sniff around for food and show increased appetite. Perhaps your food brand is not providing him with adequate vitamins, minerals and nutrients. So change the food brand. Talk to your vet about the right food to feed your malnourished pet. You can also try home cooked meals so that you get to control the amount of fats, proteins and carbohydrates that go in. Always check with your vet before changing the diet. If needed, add some supplements to their diet. Note that some vitamins can cause further increase in appetite. So always speak to a vet before adding supplements to your pet’s diet. Treats can quickly lead your pet to pack on pounds. Many treats contain sugar and high amounts of unhealthy fats which are calorific and extremely tasty. If you are using treats while training your pet, you may want to chop the treats up into smaller bits. You can also replace them with healthier alternatives like carrots or apples instead of rawhide or meat based treats. Hungry dogs are great at begging and many pet owners are unable to resist those loving eyes and cute faces. Encouraging begging at the dinner table can quickly become a habit and cause your pet to pack on tons of weight. Avoid feeding human food to your furry baby if you wish to prevent obesity and also unhealthy relationship with food. If your dog is always hungry and eating poop, you may want to add nutritious food to his existing food. This includes chopped up vegetables, fish pieces, plain yogurt, olive oil or fish oil. These healthy fat calories will keep your pet satiated and prevent scavenging and begging. Instead of feeding your pet with regular meal, try and replace one meal with canned pumpkin, buttermilk or yogurt and/or high fiber supplement. This will keep your pet full and regular. If you have evaluated all options and your dog is healthy but still very hungry, you may have to make some tough choices. First of all, know that there are many food obsessed dog breeds and perhaps yours is one of them. 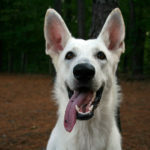 If your dog is reasonable in weight, you can simply divide up his/her meals and feed smaller portions every few hours. Do ensure that you pet gets plenty of exercise. If your dog is overweight and always hungry, you may want to wean her off regular food and feed her a low fat or light diet. In case your dog is hungry and panting, have him checked by a vet.